The chairman of the Moscow Patriarchate Department for External Church Relations, Metropolitan Hilarion of Volokolamsk, answered questions from a correspondent of Kyodo Tsushin news agency, Japan. – In August 2017 Cardinal Pietro Parolin visited Russia. Along what line have the relations between the Russian Orthodox Church and the Roman Catholic Church developed after that visit? Are any high-level contacts between the two Churches planned to take place in the nearest future? 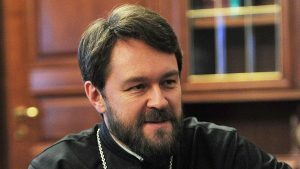 – The visit made to Russia by the Holy See Secretary of the State Cardinal Pietro Parolin has become a testimony to the high level reached in Russia’ and the Russian Orthodox Church’s relations with the Holy See in the recent years. Suffice it to say that since diplomatic relations were established between Moscow and the Vatican in 1990, it was the first official visit of the Secretary of the State, which took place at the invitation of the Russian State. 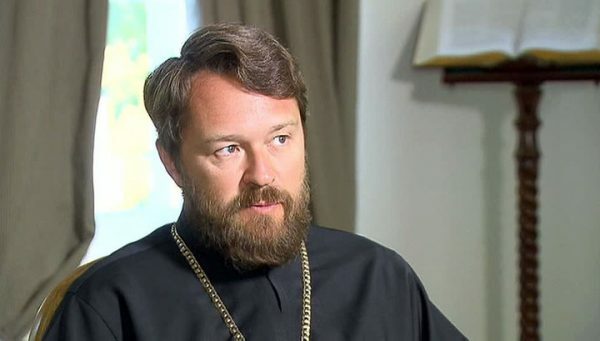 However, it has also become a testimony to the mutual understanding and fruitful cooperation between the Russian Orthodox Church and the Roman Catholic Church. Along with meetings with state leaders, the Cardinal Parolin’s program also included meetings with His Holiness the Patriarch and myself, which dealt with issues concerning the situation of Christians in the Middle East and the situation in Ukraine. The talks have shown that the stands taken by the Moscow Patriarchate and the Holy See are very close. In particular, the both sides stressed the importance of developing cooperation between the two Churches in giving humanitarian aid to the suffering Syrian population. Now it is being implemented as the most important area of our interchurch interaction. High-level contacts between our two Churches are taking place on a regular basis. According to the tradition developed in recent years, I come to Rome each autumn for a working visit to meet with the leadership of the Roman Catholic Church. Thus, in September 2017, I had a meeting in the Vatican with Pope Francis of Rome. We discussed matters concerning the Orthodox-Catholic dialogue and development of bilateral cooperation for protecting Christians in the Middle East. We also discussed the situation in Ukraine. – Late last year, on the eve of the centenary of the 1917 Revolution, His Holiness Patriarch Kirill together with Russian President Vladimir Putin attended the opening of Wall of Sorrow, a memorial to the victims of political repressions. Has the participation of the head of the Russian Orthodox Church and the head of the Russian State in such an event added anything new to the assessment of the period of Stalin’s repressions and to the assessment of the 1917 revolutionary events? How important is it for the present and future generations of Russian citizens to preserve the memory of Stalin’s repressions from the point of view of the Russian Orthodox Church? – The participation of the Primate of the Russian Church and the President of Russia in the opening of Wall of Sorrow has become a symbolic act of memory to honour all the innocent victims of the repressions initiated by the October events a hundred years ago. At the opening of the memorial, His Holiness Patriarch Kirill of Moscow and All Russia said, ‘The event which has brought us together at this monument makes us reflect once again on the terrible tragedy which happened in the 20th century in Russia. We know that those tragic events will continue to be reflected upon for a long time, but the year of the centenary of the revolution should become especially important for such a reflection’. For our Church, for most of the faithful, the memory of the revolution and Stalin’s repression is associated in the first place with the memory of the death and suffering of millions of innocent people, among them priests, scientists, medical doctors and people of various walks of life. As a result of the tragic events of the first quarter of the 20th century, the Russian people found themselves divided into two ideological camps and the consequences of that division still resound with pain in the hearts of our compatriots inside and outside Russia. Our Church was split up too as a considerable part of the Russian diaspora found themselves isolated from the Mother Church. It was only eleven years ago that we managed to restore canonical communion within the one Local Russian Orthodox Church. Our contemporaries both inside and outside Russia should not forget the bitter historical experience when, under the pretext of a struggle for happiness and justice, an enormous number of people were eliminated, families were broken and human destinies were destroyed. A revolution as an all-times terrible destructive evil threatens to lead to colossal upheavals and enormous human toll. I would like it to be remembered by today’s politicians, who in heat of their struggle for power and influence are ready to resort to provocation of violence and divisions. – In his Christmas interview, His Holiness Patriarch Kirill called upon all, including Orthodox people, to take part without failure in the elections, especially the upcoming presidential ones. Why should citizens by all means participate in the presidential elections? Does the Russian Orthodox Church plan to draw somehow the electorate in the voting? – His Holiness the Patriarch, as well as bishops and priests of our Church, speak of the importance of participation in elections, since each one in the country is called by the Church to take an active civic stand and to be not indifferent to the destiny of their Motherland. Indeed, a popular vote is one of the effective instruments through which each of us can make his or her own contribution to forming the future of our country, to preserving the moral climate in society and the historical, spiritual and cultural heritage. 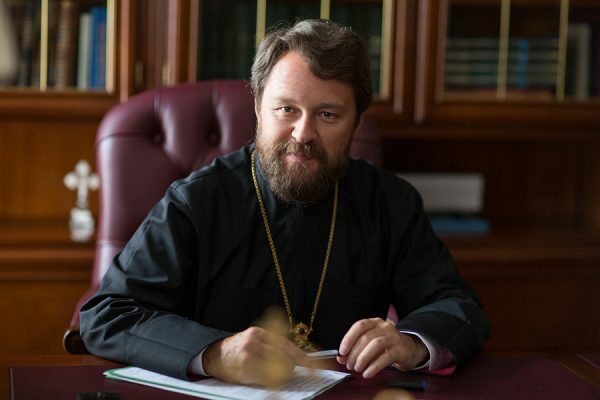 While calling upon citizens to be politically active, the Russian Orthodox Church does not participate in the election campaign, nor does she call people to vote for a particular candidate. It is my deep conviction that it is in this stand that the power of the Church lies in. She, being politically neutral, unites in herself people of diverse political beliefs. It is so because the spiritual values and moral ideals cherished and proclaimed by the Church are above political preferences and social and material differences between people. – In 2000, Vladimir Putin became president of Russia for the first time. In the last years the Russian Federation has turned into a stable country, both politically and economically. Does the Russian Orthodox Church welcome the continuation of the policy aimed to such stability? What are the Russian Church’s expectations of the Russian secular power? – In my view, stability does not mean stagnation when any social and legal development of a state is ceased and thinking and creative work weakens. Stability is the planned development of a country when a state successfully solves current internal and external problems and seeks to ensure a dignified life for its citizens and people have an opportunity for comfortable existence and personal all-round development. Our Church, just as all the healthy social forces, has always welcomed and supported the policy of the country leadership aimed to build a strong state and sustainable society with justice in which human life is valued and all the conditions necessary for personal creative and intellectual development are created and families are supported, included large ones, as well as the disabled, retired people and other vulnerable groups of society. Today there is a people’s great demand for having authorities involved in solving diverse problems of public life, beginning from the strategy and ways of social development to everyday problems. The ability of authorities to meet this demand will determine not so much the popularity or lack of popularity of the leadership of the country or particular politicians as the sustainability of the whole Russian society.